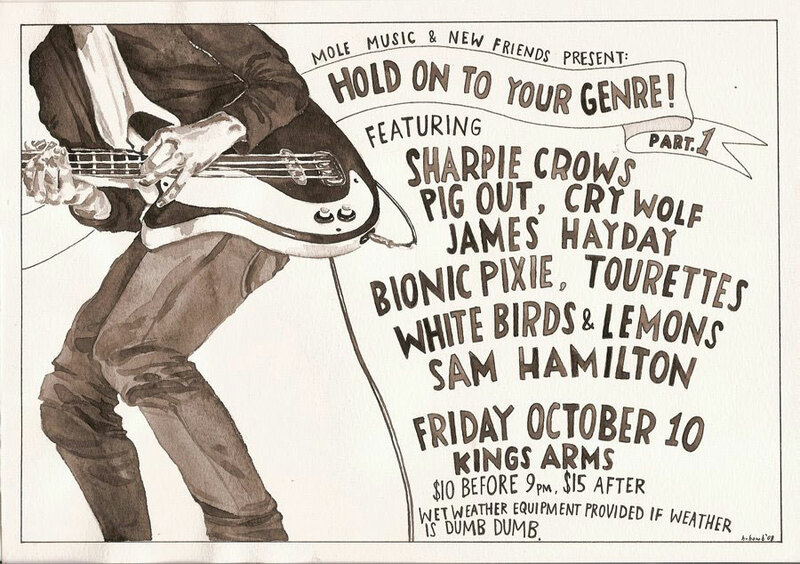 See Bionic Pixie & a few other darling musos play at the Kings Arms. I love the flier, the use of watercolour is so delicate. Need to check them out before you go/or too far away to attend but keen for new music? Listen to Sharpie Crows, Pig Out and Mr. Hayday here!